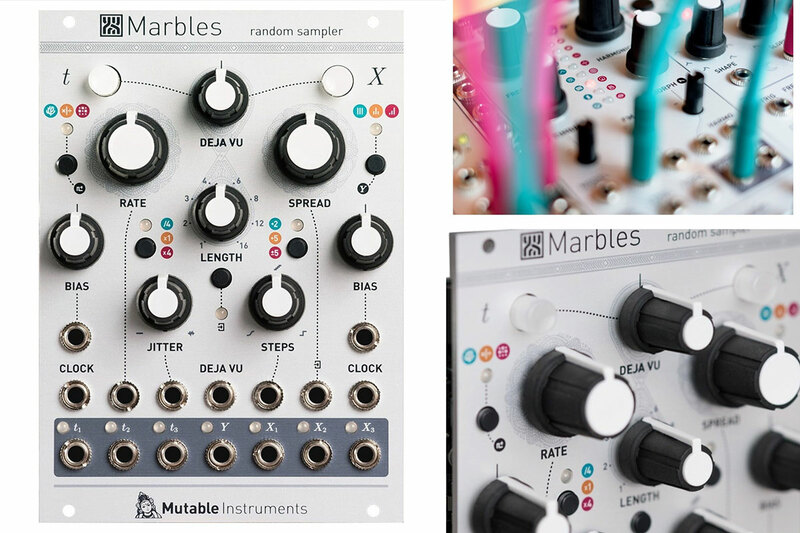 The Marbles Random Sampler and Plaits Eurorack Modules are In Stock Now at Gear4music! Gear4music has just received a shipment of Mutable Instruments Eurorack modules! 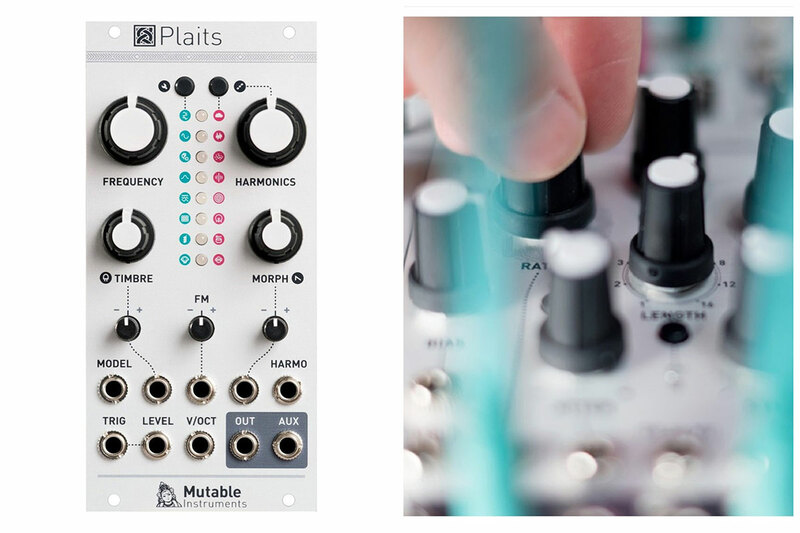 If you've had your eyes on the Marbles Random Sampler or the Plaits synthesis module, now is the time to get shopping - don’t miss out! 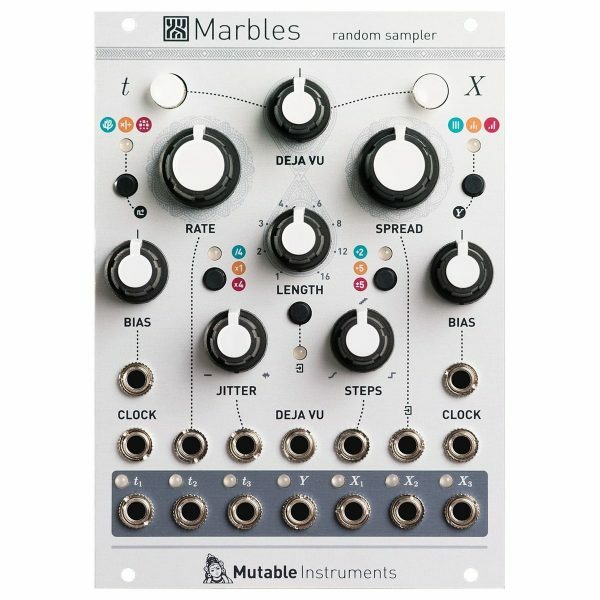 The Mutable Instruments Marbles Random Sampler is a multi-purpose Eurorack sampler module which generates random gate and voltage events. It offers an extensive range of control over all parameters of these random events. Once your random sample is generated and running, Marbles provides different ways of imposing a structure; whether that be synchronizing to external clocks, repeating the phrase in different lengths, quantizing the voltages, or randomizing the gates or voltages generated by traditional synthesizers. The module offers random gates based on its internal clock or based on sub-divisions of an external clock. The regular clock can be interrupted by a process simulating the way a musician plays out of time and then tries to catch up - this can be set from perfect timing accuracy to complete chaos. The module's random voltages can be clocked by individual outputs, or by a common external clock signal. 3 channels of random voltages are provided and can be controlled in a range of ways: concentrated or spread-out, quantized or unquantized, smoothed or steppy, centered or biased towards a specific voltage. To impose some order on the randomness of Marbles, a DÉJÀ VU knob allows you to recap recently generated patterns to generate repeats and a feeling of structure. This module is perfect for sonic experimentation and is the perfect device for inspiration. 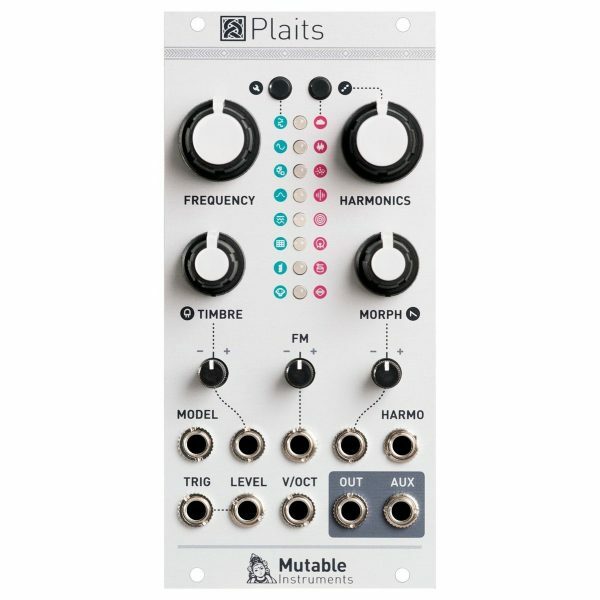 The Mutable Instruments Plaits is a synthesis module based on the successful Braids voltage-controlled sound source. Plaits offers allows you to easily tweak sounds, incorporating a wide range of synthesis techniques in a simple-to-use format. The Plaits Eurorack Module features 8 synthesis models for pitched sounds and 8 synthesis models for noise and percussion. This allows you to create virtually any sound you can imagine. Plaits also features versatile connectivity including dedicated level CV input control and Timbre, FM and Morph CV inputs. Mutable Instruments was founded in 2009 by Olivier Gillet - a software developer, electronic engineer, designer… in fact, he is the sole employee of his company! With early beginnings in open-source DIY hybrid synths, Olivier moved onto producing Eurorack modules as his skills and experience developed. 2013 saw the release of the first non-DIY, mass-manufactured products by Mutable Instruments, after which the previous range of DIY instruments showed their inherent short-comings (using simpler technology in order to be constructed by the customer in DIY fashion). As a former DIY product company, much customer support was needed, and Olivier realised his future should instead be in Eurorack modules. Mutable Instruments' subsequent modules were designed from the ground up to anticipate the work flow of musicians. Olivier's critical mind has led him to create intriguing versions of standard synth modules, some of which don't fit pre-existing categories and others with unique features. He has worked to gradually fill in the complete range of Mutable Instruments modules, whether that is filling in 'gaps' in the series, finding uses for new pieces of code, veering away from other manufacturer designs, or just trying something new. Here's an extract from an interview with Olivier Gillet - some fantastic advice for beginners and experienced users! "If you come from the world of analog synths, don’t make the mistake of trying to replicate a classic synth architecture with two VCOs, a mixer, a filter, 2 ADSRs, etc. You’ll end up with a monosynth not very pleasant to use, and you won’t be in the right mindset to “unlearn” what you know about synthesis. The goal is to find out that there is much more to synthesis than this architecture! Don’t spend hours on Modular Grid trying to plan a fully filled system. I recommend you to let [sic] your frustrations drive your planning, and you won’t know what you miss before you play your system for hours. That’s why I would recommend a beginner to have at least as much empty space as modules in their first system. (MIDI/CV interface or sequencer). This might no longer be necessary, with so much gear these days having CV/Gate outputs! Then try to make the most of it, identify your frustrations, and then expand one module at a time in the direction pointed by your limitations. Every time you add a module in your system it’s like learning a new instrument… take baby steps."